Reading and understanding food labels is essential if you want to maintain good health for you and your family. Most people look at food labels, and instead of making informed, reliable choices, they scratch their heads in befuddlement or consternation. 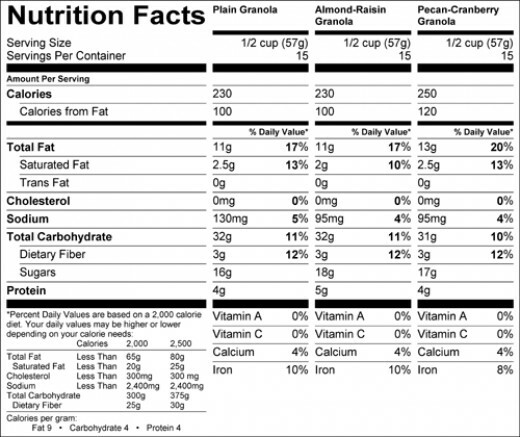 Placement of Nutrition Facts food labels on most food packaging has been legally mandated by the FDA since 1994. The Nutrition Facts are placed in close proximity to the ingredients list. People should look at packages and expect vertical, horizontal, or abbreviated orientations of the Nutrition Facts. Master one section of the Nutrition Facts at a time, and it’s not so daunting. Then you’ll know precisely how to read food labels. Here’s a concise overview. The important thing to keep in mind is that the Nutrition Facts on a package are for a single serving of the food. It’s quite misleading because a person may think that the Nutrition Facts apply to the contents of the whole bag, when, in reality, it applies to only a serving of the food. That’s why it’s imperative to look at what constitutes a serving before looking into the Nutrition facts underneath. A good rule of thumb is to multiply the calories by the number of servings, and that is how much you’ll be getting. Next, let’s peer into the strange, sometimes ominous, world of calories. Science has shown that too much caloric intake has been linked to weight gain and obesity. But how many calories do we really need? Calories are a measure of how much energy we get from food. Thus, nutritionists and weight loss experts have commended us to reduce energy intake (food) and expend more energy (exercise). Some foods actually cost more calories to digest than they give back to the body, i.e., apples and asparagus have negative calories. You can lose weight without doing anything. How many calories you need per day is dependent on your gender, height, energy expended per day, current weight, ideal weight, temperature and a host of other factors. Online tools can help you reach an ideal weight by asking you these questions and then spitting out the answer of how many calories a day you should eat. If you’re using food labels to manage your weight loss program, avoid the empty calories present in sweets, soft drinks, white rice, margarine, shortening, pizza, tater tots, french fries, and other foods with plenty of energy potential but little or no body-building, cell-supporting nutrients. Furthermore, the recent fat-free food trend over the last 10 years has resulted in Americans becoming 33% fatter. Excess sugar is converted to fat, especially in people already overweight. So, in closing, multiply calories by the number of servings and gauge how much sugar there is. A good answer to the dietary debacles of the modern age is to go back to a diet that made Americans the healthiest in world around the turn of the century. Various forms of this diet are out there, e.g., The Maker’s Diet, Nourishing Traditions, Weston A. Price, etc. 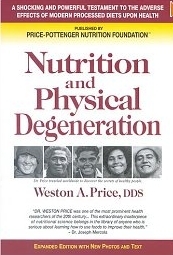 and the best online learning library for intelligent nutritional information is at the Weston A Price Foundation website. You’ll never have to read food labels again! So, you may be asking, what are calories from fat? Well, it’s no different from a protein calorie or carbohydrate calorie. They’re just units of energy. However, it’s important to know where calories originate because an excess of bad fats can have serious consequences in body. Most dietitians recommend that no more than 30% of your calories come from fat. That would mean that a 2,000 calorie diet would get 600 calories from fat per day. However, the Inuit of Alaska and Greenland have startlingly low levels of diabetes and heart disease despite a high-fat, high cholesterol diet. The paradox is explained in Sally Fallon’s ground-breaking nutrition treatise and cookbook, Nourishing Traditions. Moving on, you’ll notice the measurements and recommended daily amounts (represented as a percentage) of fat, saturated fat, trans fat, cholesterol, and sodium. Wise consumers avoid trans fats because of their devastating consequences for all bodily systems, and several political movements have erupted just to stop their use. Heart disease, cancers, high blood pressure, and stroke have been linked to over-consumption of the wrong fats, so, along with Sodium, these problem elements are prominently displayed. Sodium is not listed along with the other minerals below because most Americans eat way too much of it, and it exacerbates certain health problems. As opposed to these nutrients you should limit and avoid, especially processed vegetable oil, you should look at the good nutrients on the label like dietary fiber, Vitamin A, Vitamin C, and Iron. Dietary fiber slows the movement of sugar into the bloodstream and gives regular bowel movements. Vitamins are organic micro-nutrients, or vital amines, that are essential in small quantities for the normal and healthy metabolism, growth, and repair of us humans! Be sure to pay close attention to those food labels and what you eat and make sure you take in plenty enough fiber. Artificial Vitamins and Minerals and a Connection to Cancer? Artificial vitamins and minerals have actually been shown to cause cancer in recent research so I recommend a completely food-based source of vitamins and minerals called PhytoMatrix. All of these nutrients are bioavailable because they’re in a form that we normally find in food. This article is too succinct to describe the many benefits of individual vitamins, but a very important book on the subject is Nutrition and Physical Degeneration, a fascinating book that chronicles the life of a dentist as he traveled to isolated tribes all over the world and analyzed their eating habits and diet compared to the incidences of cavities (he was a dentist), diseases, and facial structure. Although the diets were different and a result of region, culture, and scarcity, they all had the same amounts of fat-soluble and water-soluble vitamins, and they were all in excess of a modern European or American diet. The suggested daily requirements at the bottom of the food label are a good indication of what a person needs with a 2,000 and 2,500 calorie diet. I hope this information has stimulated you to take control of your health, write your congressman, make websites, and spread the word about the insufficiency of food labels for determining proper nutrition!